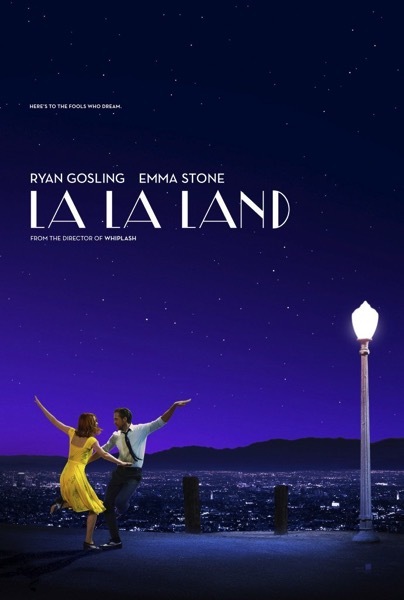 Six-time Academy Award winner La La Land has landed on iTunes for purchase, as part of an exclusive early release. Aspiring actress Mia and jazz pianist Sebastian struggle to realize their dreams in Los Angeles despite the often soul-crushing commercial nature of show business. As they endure rejection and forge unexpected paths to stardom, the young couple also strives to sustain the love they were surprised to find. Despite its DVD release next week on Tuesday, April 25, iTunes Movies has it available for Canadians to own in HD (19.99) or SD ($17.99), now. The purchase from iTunes includes iTunes Extras, such as art, costume galleries and an interview with writer/ director Damien Chazelle. La La Land was mistakenly awarded Best Picture on stage at the Oscars, in what was seen as one of the biggest blunders in the award show’s history (#steveharveymoment). The actual winner for Best Picture was Moonlight.